I first met Jane about 4 years ago and immediately felt more positive about the future in regards to my health. I was diagnosed with endometrioses over 1o years and it had spread causing significant pain and issues with fertility. My husband and I had been trying for a baby for 18months before someone suggested reflexology. Jane immediately set to work on my feet and helped massage all sorts of symptoms including pain, anxiety & sleep issues. 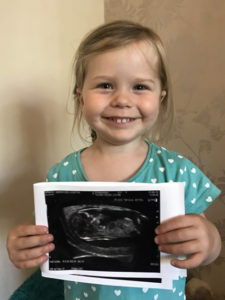 After 6 months we got the incredible news we were expecting our beautiful daughter! My husband was initially quite cynical about reflexology but is now a huge advocate and we will never be able to thank Jane enough. 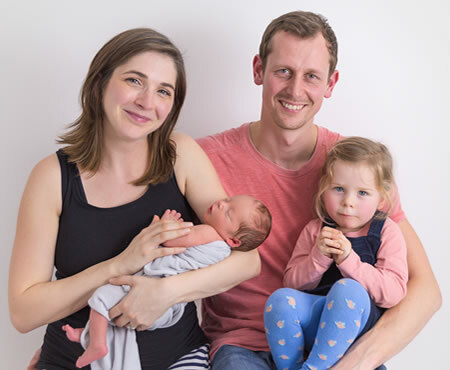 We returned for help to conceive baby no 2 and to help manage my endometriosis symptoms. we are now very happy to announce a 4 month bump! Thankyou. I truly believe that you helped Helen and I to become pregnant for the second time. Thanks to your nimble fingers, reflexology helped Helen to relax and heal, to conceive our beautiful little girl and new bump. I can’t honestly thank you enough. Beside helping us to conceive Helen always returned home smiling and feeling positive and with a few less aches and pains. Thanks again for changing our lives and I’m sure we’ll stay in touch.